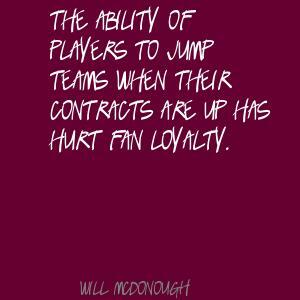 See the gallery for quotes by Will McDonough. You can to use those 8 images of quotes as a desktop wallpapers. I don't think the players play with the same desire they once did. 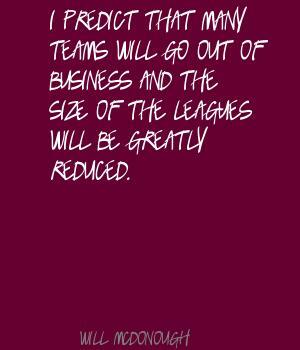 I predict that many teams will go out of business and the size of the leagues will be greatly reduced. I think money in general hurts all sports. Muhammad Ali is a combination of personality and athlete who is probably better known around the world than any other. He became a great hero. Pete Rozelle used television to get the game to the American public by creating the Super Bowl and making it the biggest sporting event in the world. The future is electronic. 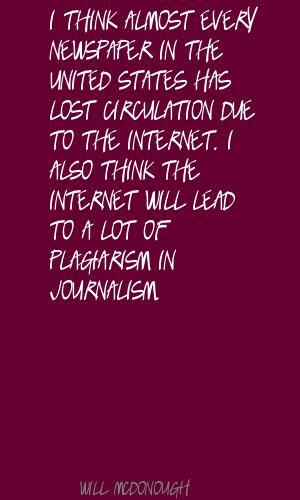 It's radio, television and the Internet; it's not really newspapers anymore. The one good thing about television is the money; you can make a lot more money than in newspapers. The wonderful thing about television is the immediate impact of pictures of current events. One of my first jobs was at the Boston Globe. I worked in the sports department six months a year. 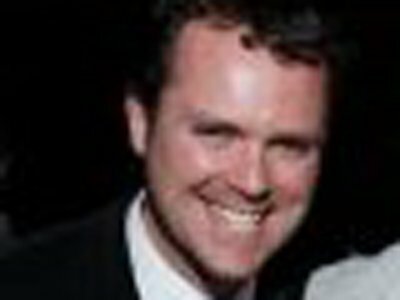 When I was ready to graduate, the sports editor gave me a job as a schoolboy sports writer. 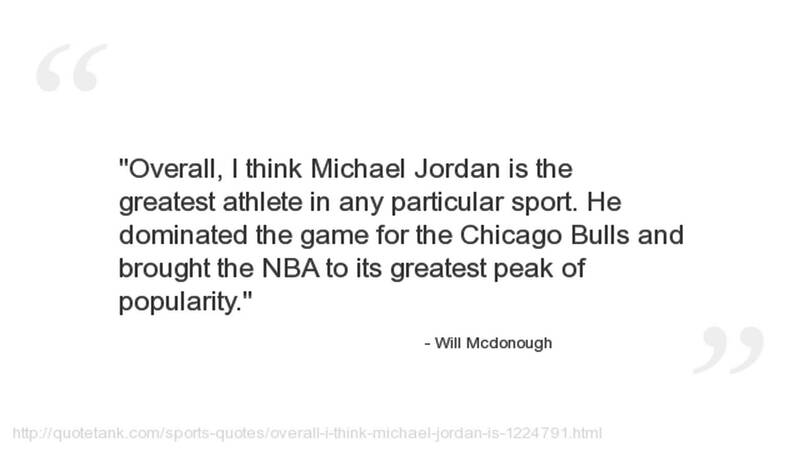 Overall, I think Michael Jordan is the greatest athlete in any particular sport. He dominated the game for the Chicago Bulls and brought the NBA to its greatest peak of popularity.